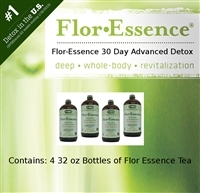 30 Day Premium Detox: Three 2.2 oz. 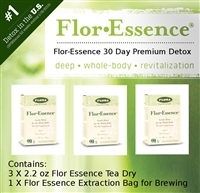 packages of dry blend Flor-Essence Tea plus one extraction bag. 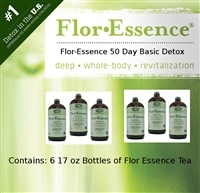 25 Day Basic Detox: Three 17 oz. 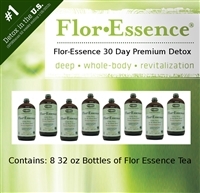 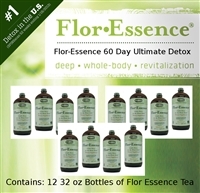 bottles of liquid Flor-Essence Tea.